Below I outline what I think you’ll want to know about the sunscreen. If I don’t cover everything, leave a comment and I’ll respond to your question directly. This should be the main reason you use a sunscreen. It can be amazing at everything else but if it doesn’t protect you it’s not worth it. Luckily, CoTZ Face Tinted does an amazing job. I wore it a few times in different settings (with makeup, without, in the sun, during physical activity etc) and didn’t have a single issue. I didn’t experience any redness or dryness on my face and even when sweating, the sunscreen stayed where it was meant to. The combination of zinc oxide and titanium dioxide is hard to beat. They’re the two most effective sunscreens and give you comprehensive broad spectrum protection. 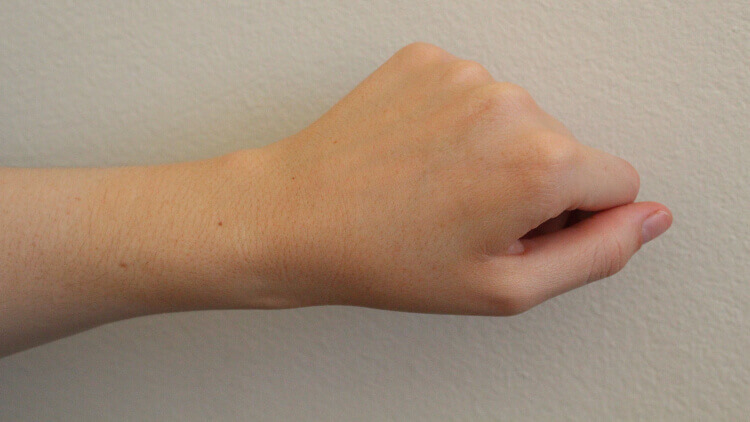 This means you’re covered from the full UV spectrum both UVA and UVB. The SPF 40 rating means 97.5% of UVB radiation (the stuff that cause sunburn) won’t get through. This is higher than the minimum SPF 30 recommended by the experts at the Skin Cancer Foundation. The 80 minute water resistance (which is the longest available) is great. Just remember you’ll need to reapply every two hours or after toweling off. Although it comes out of the bottle dark, the end result is very pleasant. In the GIF above you’ll notice that it stays dark for a while as you work it in but eventually fades to a color close to my natural skin tone. 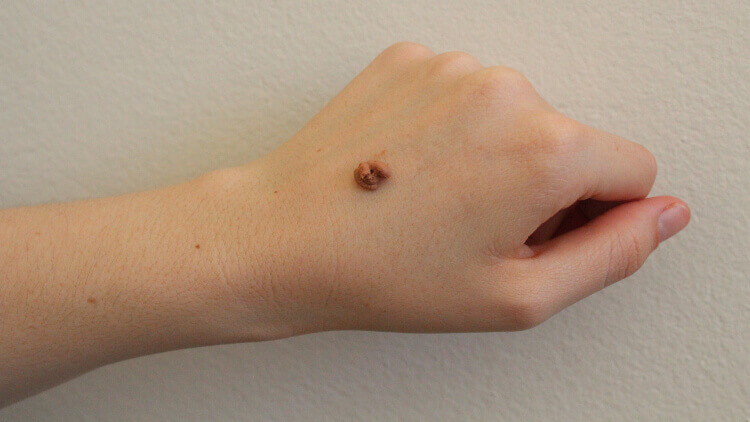 The tint doesn’t completely disappear and it leaves you with a slight, natural-looking tint that’ll take lighter skin tones more towards a tan. 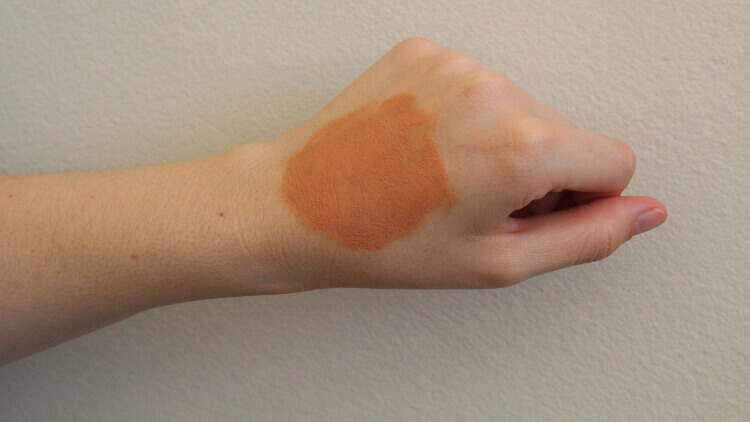 I enjoyed this tint and found it blended well with my makeup, so I wouldn’t need to make any changes to insert it into my daily skincare routine. If you’re particularly pale and stick with lighter makeup tones, you might get away with the tint if you applied a thin layer – though this may compromise your sun protection. 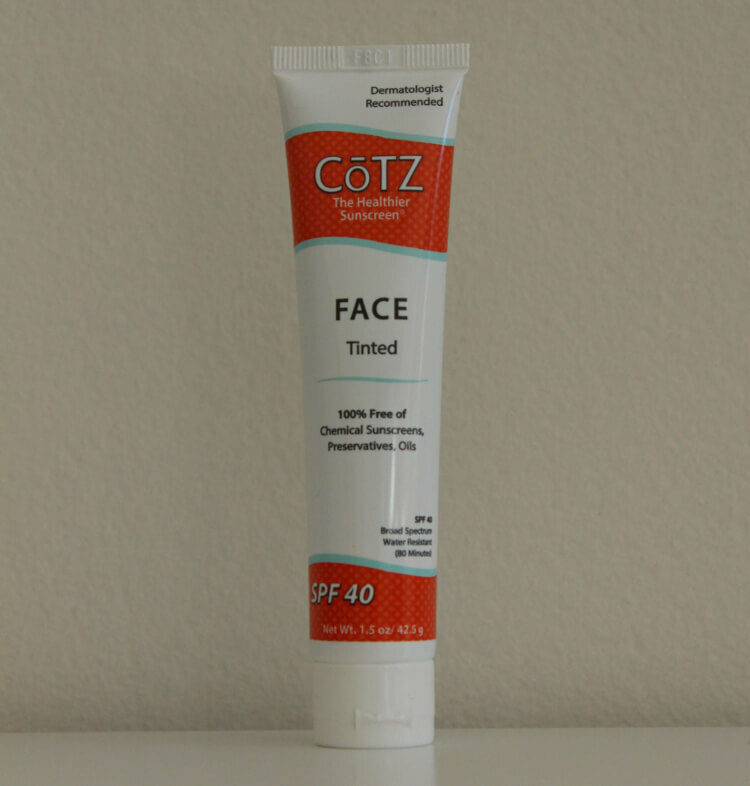 CoTZ Face doesn’t contain any oils as ingredients and as a result doesn’t feel oily or greasy on the skin. I have a pretty serious history of acne because of my oily skin and didn’t have any issues when I wore it on consecutive days. As I mentioned earlier this product contain no oils or pore-cloggers that are likely to cause breakouts. I have a history of acne and with repeated daily use experienced no issues at all – not a single blemish. This isn’t a guarantee that your skin won’t break out, as everyone’s skin is different, but for most people it should be fine. The sunscreen has a great matte finish and minimal shine. This only gets better the longer you let it dry. If you have issues, make sure you take some time to work the product in well initially and then leave it to dry for longer. If you put it on first thing, then leave for at least 10 minutes, you won’t have any problems and it’ll barely be noticable (beyond the tint). Whether CoTZ Face could be used as a replacement for makeup is up to you. In the right contect I think it would do a great job of offering some color and blemish cover without the need for makeup. Some example include a beach day or physical activity. Basically anytime you wouldn’t be wearing makeup anyway. If you only wear makeup occasionally or use it sparingly, I could see you being comfortable with just the sunscreen for casual use. However, on a normal day when you’re going through your full routine, it’s not going to do the job. But, as sun protection is necessary everyday, it does a great job forming a base for other cosmetics. It works like a primer underneath makeup. So long as you work it in sufficiently and let it dry, it works perfectly under foundation or BB creams. I had no troubles working it in as the base for my normal beauty routine. 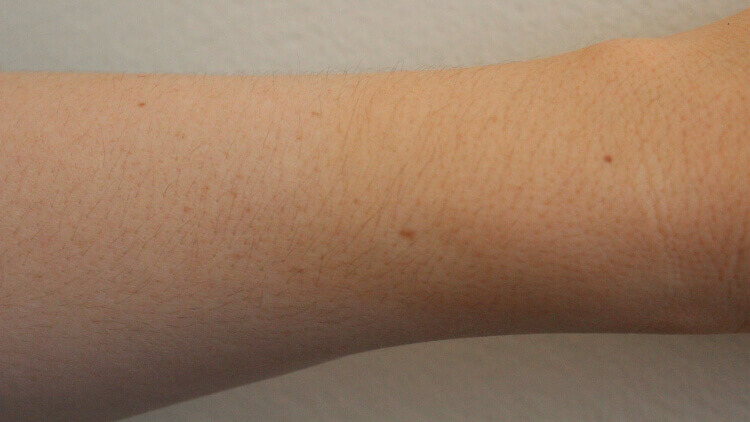 The formula comes out of the bottle looking a lumpy – which was a worrying sign because sunscreens that look like that are usually a pain to apply. But once I started working it in I noticed that it’s a silky smooth formula. It feels a little thicker than a chemical sunscreen and is more of a paste than a liquid, but again, this doesn’t affect its application. 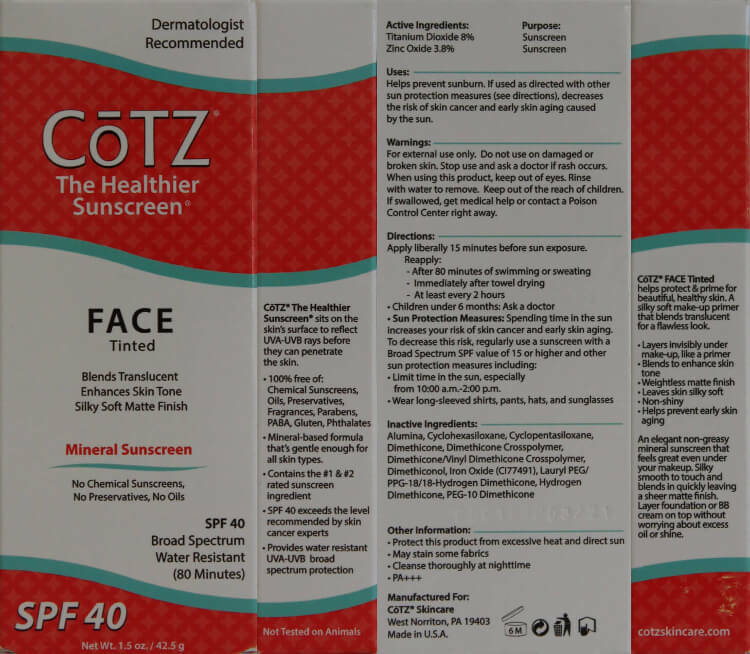 CoTZ Face Tinted applies easily and without issue. This is surprising considering the high concentration of active ingredients and water resistance this sunscreen offers. 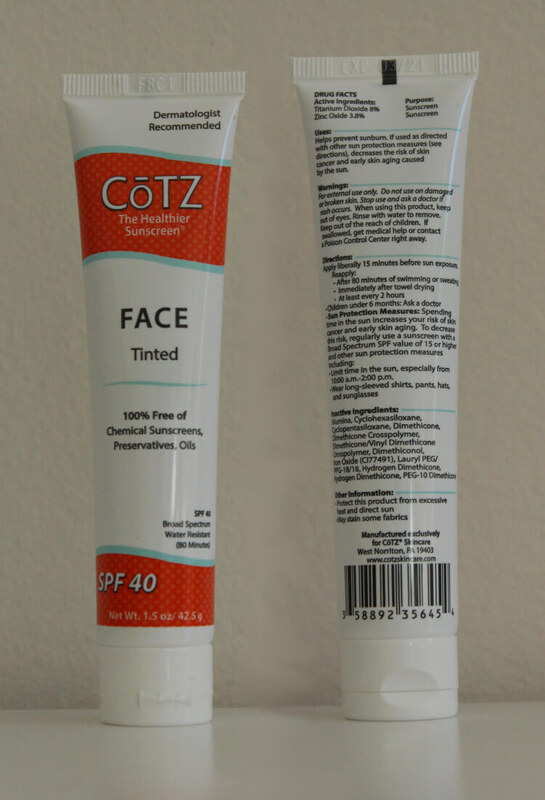 The combination of these two things usually results in a formula that’s hard to spread and uncomfortable to remove – neither of these things are true for CoTZ Face. You will have to work it in well as this is when the tint starts to fade towards your natural skin tone. Just work it until you’re happy, this shouldn’t take more than 20-30 seconds. If you’re using the sunscreen with other products make sure you wait 5-10 minutes for it to dry completely before applying on top. This is important because allowing them to mix might look bad and could affect your sun protection. There’s no noticeable smell to this product. It has a slight cosmetic scent coming out of the bottle (kind of like a liquid foundation), but when it’s applied and dried you won’t notice it – even if you have a particularly sensitive nose. If you normally use chemical sunscreens, you’ll think this is an expensive sunscreen (check the price) because physical sunscreens are generally more expensive (they are more effective and don’t have terrible ingredients). When considering using this sunscreen remember that it’s for use on the face only. It’s not meant to be used everywhere and will therefore last longer than a general sunscreen, even in its 1.5oz bottle. Considering the quality of the sun protection and the additional cosmetic features, I think the price is reasonable and at a level that most people would be able to work it into their daily routine comfortably. I enjoyed using this sunscreen. It did a great job sun protection-wise and worked well with the other cosmetics I use on a daily basis. It comes highly recommended from SimplySunSafe. You can buy it here. I think you have s grammatical error regarding the spf statement. You should have said 97.5% of the UVB rays won’t get through not they will get through. Enjoyed your review and found it accurate. I have tried s sample of this product and will be getting it again.